It’s currently being entered into film festivals worldwide and in respect of the stipulation to assure them a global online premiere we can only show the trailer. 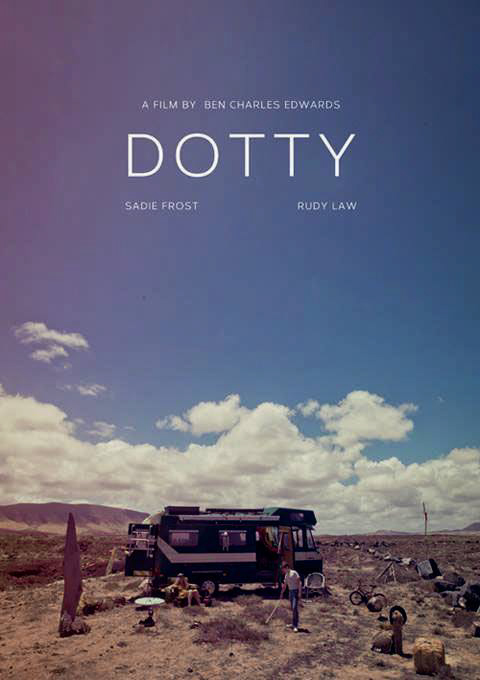 Dotty is a touching film centered around an unlikely friendship that highlights the beauty in friendships that cross a generation gap. A lonely 9 year old boy stumbles across a modest caravan in the American Midwest, inside the caravan lives Dotty, an eccentric but kind women old enough to be his grandmother. Dotty invites the boy into her rainbow decorated caravan that is littered with exotic memorabilia from her past, and in particular an incredible collection of brightly coloured shoes. The boy, who has a hidden sadness he won’t discuss and a suspicious bruise on one arm is able to forget about his troubles momentarily as Dotty and the boy embark on a journey that spans her colourful life.